Léna Roy: Madeleine L'Engle Inducted into the Empire State Hall of Fame! 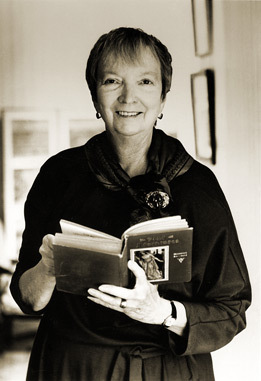 Madeleine L'Engle Inducted into the Empire State Hall of Fame! What a night! I was both excited and terrified as the husband and I got dressed and made our way over to The State Room in downtown Albany where the gala was being held. Cocktails (seltzer with a lime twist) was followed by the dinner, and a full program of events. (The State Room is also a Comedy Club and a popular wedding venue, so imagine, if you will, the high ceilings, the columns, the gorgeous hardwood floors.) The husband and I sat with some lovely folks, (including several tireless organizers of the festival) and we all applauded as we watched Pulitzer prize-winning poet John Ashbery, Willa Cather, Herman Melville, Ralph Ellison, Julia Deburgos, Dorothy Parker, Lorraine Hansberry, Paula Fox and Madeleine L'Engle be inducted into the Hall of Fame. Wait. Madeleine L'Engle was inducted in the middle of the program, and I accepted the award for her! Here as promised, is the short speech I prepared this morning for this event. My hands were shaking and I spoke a little too fast, but I got through it. And I was SO PROUD and HONORED to do it! I am thrilled to accept this honor on my grandmother’s behalf. Madeleine L’Engle may have died three years ago, but we still find her influence both among other writers and fans. She would have loved this evening, as she always loved meeting people. She would have loved to be included in this group of literary luminaries of the past and present. Thank you for recognizing not only her body of work, spanning 1944 through 2008 and 63 published books, but for who she was and what she gave the world as an artist. She modeled for both readers and other writers a passionate work ethic, dedicated to the need for story and its deeper truths. Two books that came out in 1951 helped birth the modern YA genre: Catcher in the Rye, by J.D. Salinger, and Camilla, by Madeleine L’Engle. Reviewers at the time compared Camilla as a female counterpoint to Holden Caulfield, yet Camilla didn’t become the icon that Holden did. Still, my grandmother continued opening doors of perception in highlighting strong female protagonists. She always insisted that she was just writing what wanted to be written, but she managed to become subversive in how she was able to chip away at the female stereotypes often seen in literature through the early 1960s. I often wonder where we would be now if in 1962 she she hadn’t given us Meg Murry from A Wrinkle in Time – a character who paved the way for so many girls to accept their passions, differences, and feelings. She gave us the permission to be the heroines of our own lives too. During the 1950s, my grandmother had a difficult time getting each of her works published, until in 1962 she hit international renown with A Wrinkle in Time, which everybody knows very nearly didn’t get published at all. After 17 rejections, John Farrar of FSG was the one who took the chance on this book… a book even he didn’t think would sell very well. Well . . . you all know what happened! Madeleine would have wanted to meet all of you, to hold your hands and look you in the eye with her signature twinkle, and say thank you. Thank you for reading and loving her work. She wouldn’t be where she is today, in this Hall of Fame, without readers and their own imaginations. You're right, Meg did pave a way. Wrinkle is one of the few books--although I love many--that remains clamped to the same piece of my heart it did when I first read it. Glad your evening went well...you wrote the words that wanted to be written. Lovely speech! What an interesting point about Camilla and Catcher in the Rye. I remember loving that Meg couldn't control her feelings all the time, it made me feel so much better about my own crazy moods! Lena, that is a beautiful speech. What a wonderful night! Lena, will you ever take on the unfinished Meg novel? Thank you guys so much for your wonderful feedback! It really means sooooo much to me! And Jean - I don't know how to answer your question! I never thought of it, but . . . I think I would have to have years of publishing under my belt to even think of attempting that! SO happy I've gotten a chance to meet you for you, and as the incredible extension to your grandmother you are. That was so lovely. Huzzah for Gran and for you! @Lena: RE: the unfinished novel--Someday if Madeleine's spirit taps you on the shoulder you ought to try it. Thank you all so much! Jennifer, I'm in awe that you are a physics major! And Rebecca, I cut my speech so much, but I almost mentioned WYRM! There's always so much to say about ML'E and her reach! Yes there is so much to say about Madeline. First and Foremost is that from the day I read a "Wrinkle In Time", I have never stopped reading her books. I now own half of them on Kindle. Her famous phrase "Tesser Well" will forever be a compliment that we all can achieve the ability to seperate time and space. She di that with her books and her legacy for I believe she will never every be forgotten through time for her abilities to make a child know that their feelings, fears, and dreams, are natural normal and an ability to increase the person not a negativity to set them back. If you ever get the courage to tell her story, where her ideas came from, how she picked all the names, how she picked Camazotz please make a documentary that we can see, enjoy those wonders with you as I know you enjoyed them if she told you, and allow us to forever grace her spirit in our hearts. I for one know that she would be honored to have you finish "Meg" from that wonderful speech. "Tesser Well" to your new home Madeline and may you know you are missed. I always meant to write Madeleine L'Engle and tell her how much her writing meant to me, but alas I never did. Now, I realize I can at least tell you. I read A Wrinkle in Time when I was a preteen with mousy, straight brown hair (that wouldn't take a perm for love or money) with glasses and an interest in science. I found Meg Murray incredibly inspiring and I loved her mother just as much. It was at that point that I decided I wanted a PhD. That was in 1985 or so, I was about 11 years old. Last year, I finally graduated with a PhD in cell biology. While I was in graduate school, I read the Crosswicks Journals which now greatly inspire my adult life. Imagine my horror when I read that A Wrinkle in Time was almost never published! Where would I be? Would I have set the goal to get a PhD? I honestly don't know. Since receiving my PhD, I have decided to focus more on family life for the time being. I feel comforted by the fact that Meg also decided to step away from science a bit and focus on family (though, I don't believe my husband and I will be having quite as many children and Meg and Calvin!). I wish I could have told your grandmother what a profound impact she had on my life. I was truly heartbroken when she died, knowing that there would be no new words of wisdom from her appearing in the bookstore. I'm so glad she is continuing to receive the recognition she deserves. I was in 5 th grade when our teacher decieded to read to our class. Our music teacher was out for the rest of the year and we had free period. As you can imagine no one was happy. That all changed when we heard A Wrinkle in Time. By the of that first day we lwere looking forward to Hearing more. I went home took the bus to the library and checked it out. It is the book that got me hooked on SciFi. It the book that made me want to create things. It the book that inspired a kid with learning disability to never give up. My son is named Charles-Wallace . She desires the honor and so much more. She has touched my life with her work. I finally read this! I'm so excited! What a great honor and you delivered a beautiful speech. Congratulations to you and your Gran! I wrote several letters to your gran, all of which she responded to and all of the responses I still have. When I received the first letter back in the mail it was like someone handed me the best gift in the universe and I couldn't even open the letter because my hands were shaking so hard. Her writing has kept me alive on multiple occasions and through her writing I began to believe that the scars on my soul would make me a stronger person if I let them. It is also through her religious philosophy that I was able to survive the death of my mom from cancer when I was fourteen. She was an amazing person and because of her writing and her influence on those around her, she will continue to live on. Congrats and great speech. Camilla is one of my favorite books but I never made the connection between it's publication and Holden, one of my other favorite characters of all time. Now I will have to go and read both again. Love you and love her! Thank you for your comments Alison, "Crazylady" and Astra! ML'E was a source of light for all of us! And thank you for being part of my community now! D'Artagnan -- I am currently reading L'Engle's Walking on Water in which she talks about some of the questions you direct to Lena here. Not the exact questions you ask, but maybe the deeper questions.